Supports up to 2 amps with built-in overcurrent protection-a must for high-end high current fans. The enhanced BIOS interface also has the advanced features seen in the Smart Fan 5 UI, such as: the ability to set triggers based on different temperature sensors on the board, fan curve definition and the temperature interval setting, which can prevent fan rotation noise caused by sudden temperature change-all without having to load Windows. 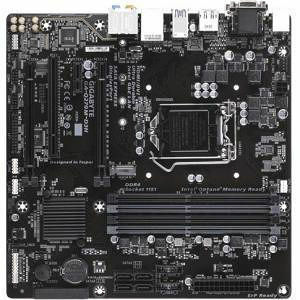 The Q270M-D3H motherboard comes equipped with Intel® Gigabit LAN networking, a popular choice with gamers that features several performance-enhancing features such as advanced interrupt handling to help reduce CPU overhead and Jumbo Frame support for extra large data packets.